Tune into a rapid fire chat with the authors of the book and hit show: ‘Women like us’, Mandy Nolan and Ellen Briggs. 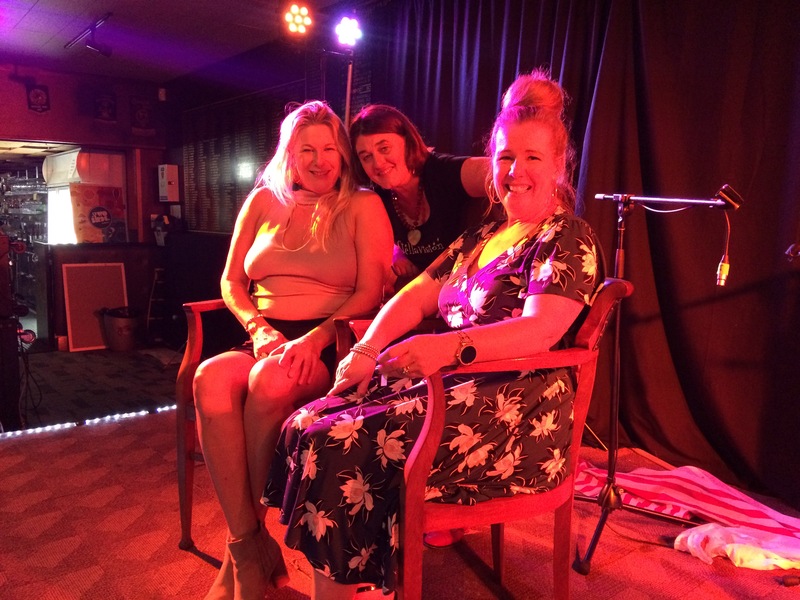 In an hilarious look at gender stereotypes, parenting, comedy coaching and writing, Stella, Mandy and Ellen ‘rip the band aid off’ our changing cultural norms. Mandy has coached over 1,500 people in the comic arts (“Yes and five of them are working” she quips) including Ellen who was writing a book at the time that was “getting funnier”. That was the beginning of a beautiful friendship and Women Like Us, now in it’s fifth year. It’s not always easy to fathom the years of refining, testing, failing and succeeding that results in a truly funny – and what seems like an ‘off the cuff’, spontaneous comedy routine. Mandy reckons it took her a decade before she hit her straps. Ellen was dead against doing stand up, but delights in ‘making people angry’, leaving her nowhere to go but up with her audience – there’s no people pleasing without some kind of human sacrifice! Don’t forget to check out the Stellavision website for forthcoming shows. Come to Stella Kinsella Books for stockists, and the fascinating back stories on Stella’s own publications. 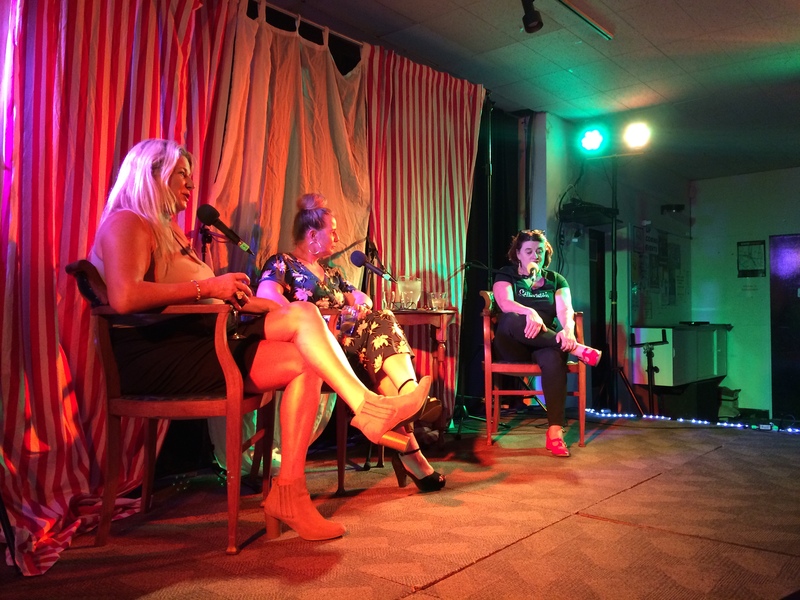 Stella brings in the maiden interview of the ‘Funny about books’ podcast live at the Newport Comedy Room with special guests and legendary comics – Rod Quantock and Hung Le. Rod proudly confesses to having never written for his stand up routines, but Hung admits to aiming for a cracking punch line every three sentences! In a conversation taking more twists and turns than a federal politician watering with a cheap garden hose, the group discusses whether comics are made or born, the delights of the classics and how much fun it is to ‘peel the tape off’ racial and political stereotypes. 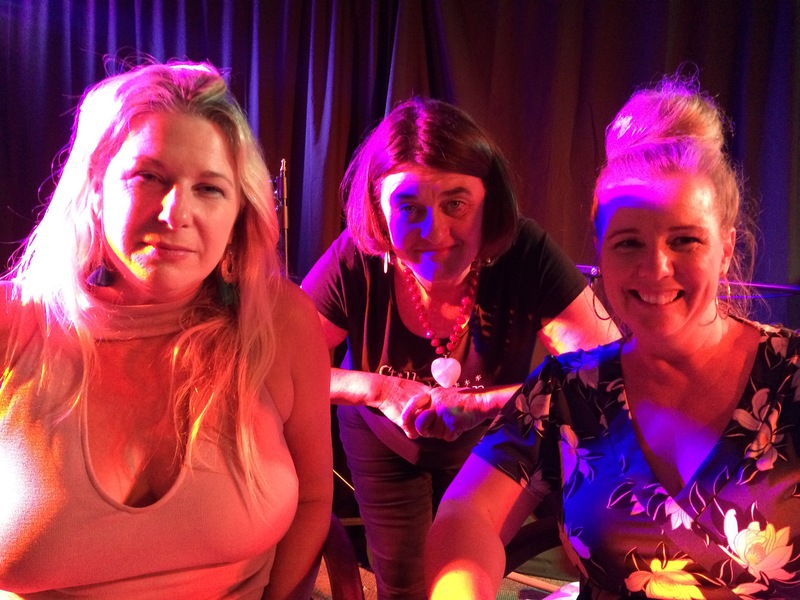 Comedy, radio and TV icon – Richard Stubbs – joins Stella and ‘grass roots’ comic Evan Hocking for a wild discussion covering everything from duty free to running the country. Richard, who is best known for hosting variety show Tonight Live on Channel 7, pioneering breakfast and drive time radio comedy (XY Zoo on Melbourne’s 3XY and later on 3 Triple M) – has recently returned to stand-up between ongoing corporate gigs and presenting on ABC Radio Melbourne. Like many Melbourne comedians, Richard had his first shot on stage at The Last Laugh in Collingwood during the early 80’s – where he (and many other aspiring comics) worked as a barman at the time. Stella, Evan and Richard compare notes on the current comedy scene: “Four minutes on stage for a try-out, and no pay”, Evan reports flatly – with Richard curbing his earlier career interstate travel expectations, now being “put up overnight in the promoter’s spare room”! We also hear some of Richard’s family tales as brother, father and son. Like many people approaching their 6th decade, he tells the familiar challenging stories of ageing parents, new loves and flexible careers. His retirement plan will crack you up – look out for him as you come through customs at Melbourne Airport (or in federal parliament as this week’s prime minister)! Born and bred in Williamstown, Richard has challenged himself across a range of pursuits including: actor, AFL footballer, corporate executive and in 1993, was elected to the federal seat of Cowan (WA), that he held for six years. His most recent novel is ‘Deceit’ – episode one of the ‘Democracy’ trilogy. A political intrigue narrated through the eyes and ears of a parliamentary clerk, where the aspirations of the elected superstars are pitted against the powerful ‘heavy weights’ of parliamentary process. In a fascinating interview, Richard and Stella discuss issues of political ambition, how changing reality may come second to manipulating perceptions and the inherent soul destroying nature and deep personal cost of political life. Richard seeks to reveal, inform and educate Australian society by writing about both the ‘bird’s and worm’s eye view’ of our democratic processes. We also hear that the strategic marketing techniques Richard has used to manage his marginal seat (amid scoffs from fellow ‘pollies’), have also been applied to the planning and publication of his books. Richard warns against author’s submitting their first manuscript draft. Poor spelling, syntax, and quality are unlikely to get you a good hearing from a publisher. Consider your brand versus business strategy, and pick a publisher that pays attention to marketing and distribution. Oh, and listen out for the ‘dirt’ on some of the players during the infamous WA Inc. of the 70’s and 80’s. Don’t forget to check out the Stellavision website for forthcoming interviews. In this inaugural ‘Hobson Words’ podcast episode, Stella is joined by the warm and wonderful Sara Vidal. An avid and outspoken supporter of people displaced and traumatised by war. Sara feels she is not a natural writer, but after 25 years in the making, she has published a story of life, beauty and freedom. She wanted to tell her Polish parent’s – Bella and Chaim’s – story of life and their dangerous escape from the Warsaw Ghetto, preceded by an 18 month stay beneath a machine in a cramped hole underground. An amazing story of resilience and hope. We sometimes forget to acknowledge the impact of the ablation of entire generations from those families affected by The Holocaust. A peoples who somehow endured profiteering from slave labour, the systematic ‘Selections’and the mass executions of the ‘Final Solution’ and those lured in disbelief to their demise. Veteran comedian and author of three books – Greg Fleet – joins Stella in a walk down (sketchy?) memory lane when comedy venues like The Last Laugh and The Prince Patrick were the ‘Valhalla’ of aspiring comics. 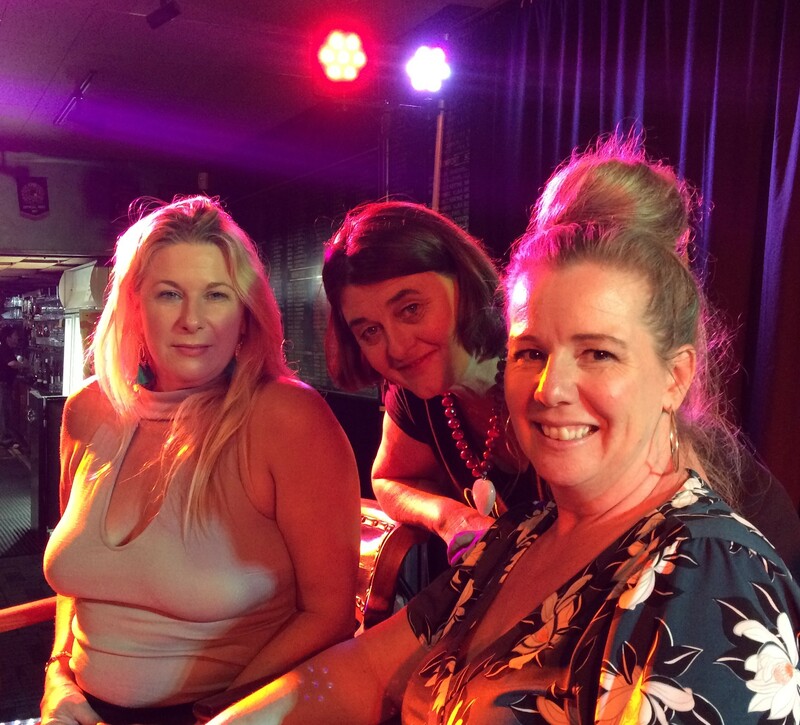 During their shared experiences in the 80’s, The Comedy Company and The Big Gig brought with them incredible television exposure for Australian comedians, who also made up the majority of the show’s writers. So comedian to writer and author isn’t such a big stretch. (Apologies to Michael Collins, Jacinda Arden and Dave Taranto whose names were mispronounced during the show).